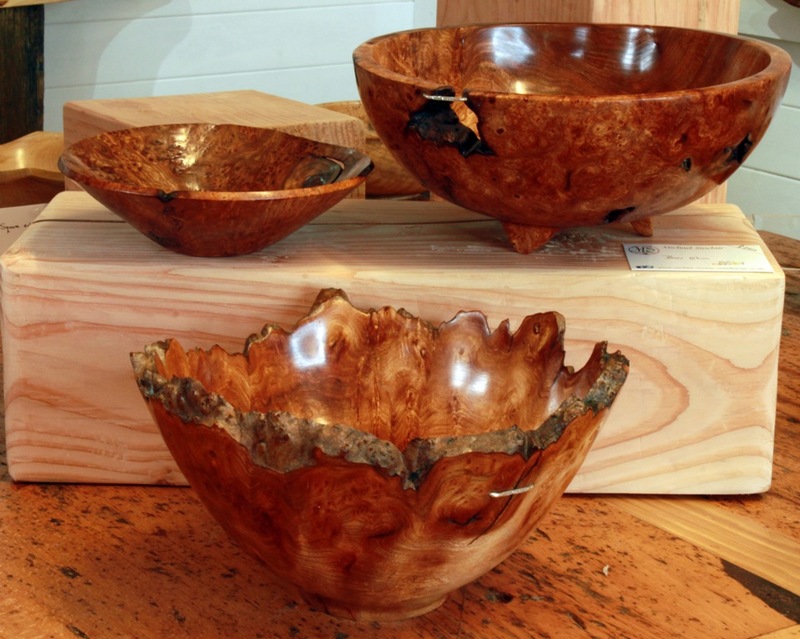 Our business focus feature for March takes us to Harray and the home of new company and Orkney Crafts Association member, Michael Sinclair Woodturner. As soon as you turn onto the Grimeston road in Harray and follow the newly positioned signs, there is no doubt you’re heading somewhere where wood is a very important commodity. Howar is a beautiful, timber built house with a small wooden gallery and workshop nestled either side of it. 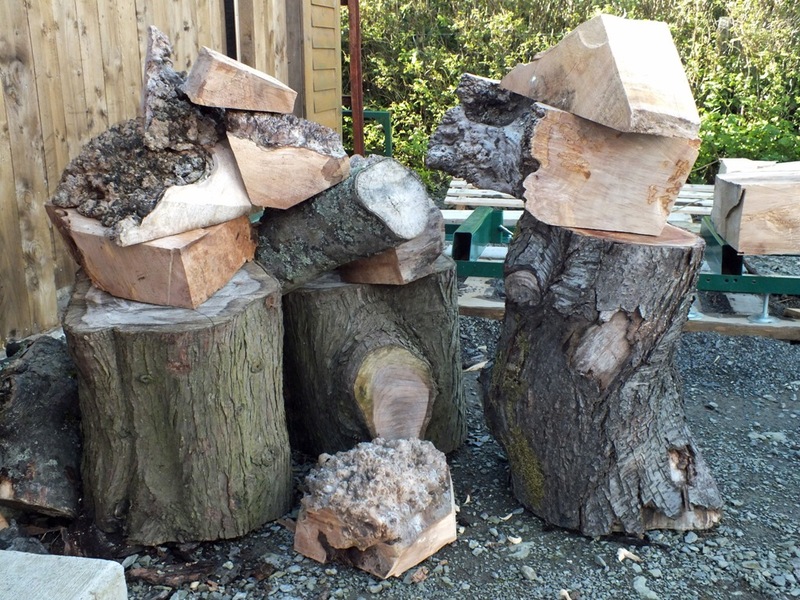 In the garden there are huge chunks of sycamore and trunks of oak and elm, all earmarked for future use. This is definitely the home of a woodturner. Michael and Sara Sinclair built the house themselves in 2009 before launching their woodturning business full time in September last year. Those things developed into stunning ornamental bowls, exquisite vases, sculptures, small boxes with threaded lids and lots more, all handcrafted with great skill and creativity. Michael’s workshop is a treasure-trove of tools and equipment with that distinctive, smoky smell of sawdust and cuttings crackling in the wood burner, keeping the shed warm from the early Orkney spring weather. It’s here that Michael works at his latest creation – watching intently as a smooth bowl slowly emerges from a chunk of sycamore sitting on the lathe. It’s engrossing to see the shape start to appear amid the spray of shavings. Once fully formed, the bowl will be dried and given several coats of oil before a final polish, ready for sale. Michael and Sara are certainly making sure the business has every chance. A new website has been launched recently and visitors will, for the first time, be able to find the gallery on the Orkney Craft Trail. 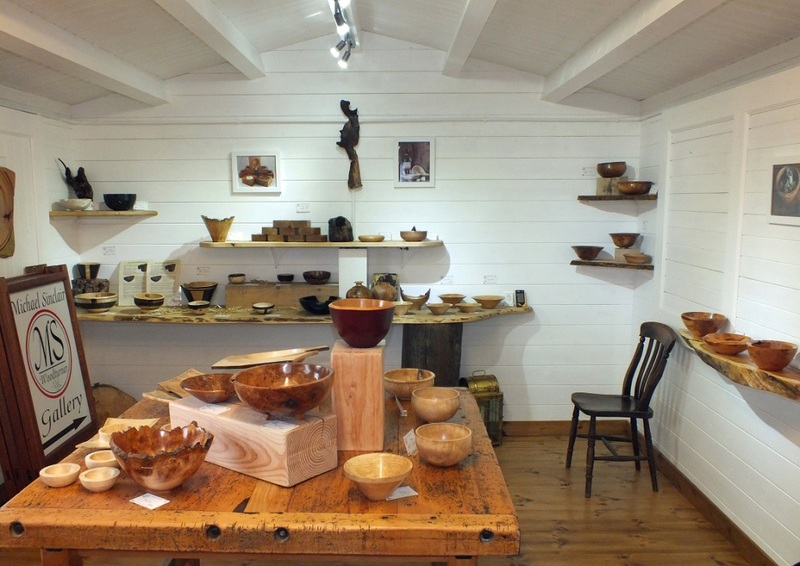 It’s well worth a stop too – the gallery is small but warm, welcoming and well lit, showcasing the beautifully worked wooden items. As with many small businesses, teamwork is important. That’s somewhere Michael and Sara excel. When Michael heads into the workshop to create new pieces, Sara manages the commercial side of things and deals with the day to day responsibilities of running a business. It takes discipline and commitment but they’re in it for the long haul, inspired by Orkney’s other expert craftspeople. So, with a summer season on the Craft Trail to come, what are the aims for this new Orkney business? 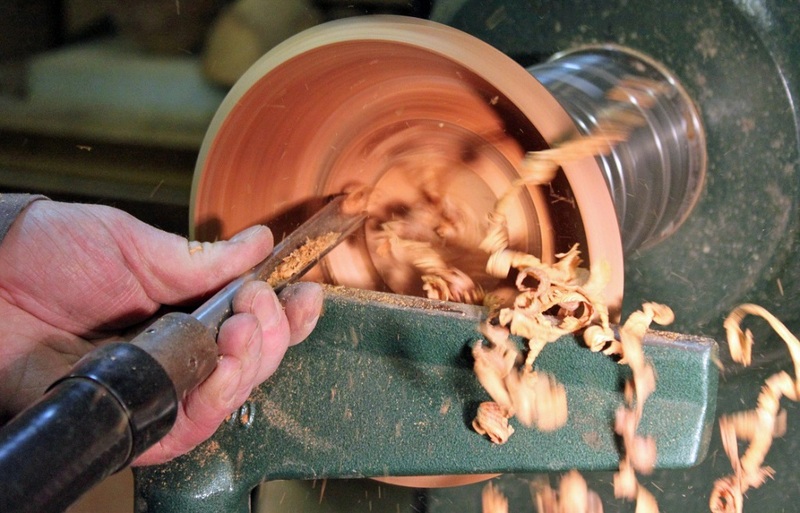 Find out more about Michael Sinclair Woodturning from the new website. The gallery is open daily from Easter onwards and you can see some of his work at Ortak in Kirkwall and the Orkney Brewery in Quoyloo. You can also follow Michael on Facebook and Twitter. The 2016 Orkney Craft Trail will be launched next month – visit the Orkney Crafts Association website for more information on the trail and Orkney’s craft community.